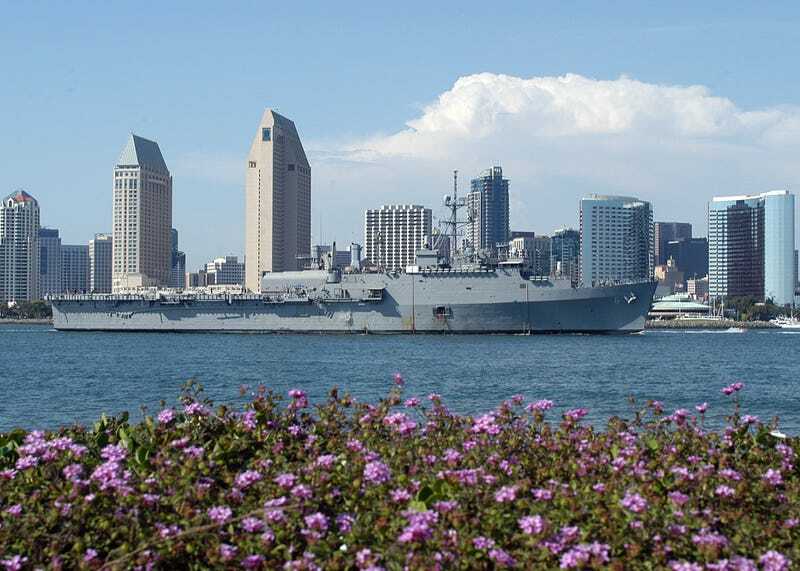 Unable to secure funding from the City and County of San Diego, The United States Navy released a letter stating plans to relocate all operations to Los Angeles. In an all-employees meeting at 7:55 AM, announced with the sound of trumpets, Captain Roy Love, Commander of US Navy Base San Diego, explained the decision. After much deliberation, I have made the decision to relocate the Navy to Los Angeles, beginning with the 2017-2018 fiscal year. San Diego has been our home for 95 years. It will always be part of our identity, and my family and I have nothing but gratitude and appreciation for the support and passion our dependents have shared with us over the years. LA is a remarkable place, and while we played our first year there in 1943 and have had fans there ever since, our entire organization knows that we have a tremendous amount of work to do. We must earn the respect and support of LA Navy fans. We must get back to winning. And, we must make a meaningful contribution, not just on the water, but off the water as a leader and champion for the community. The Navy is determined to fight for LA and we are excited to get started. The Navy did not disclose where they would drop anchor in Los Angeles. Their former home, Long Beach Naval Yard, has long been developed for commercial shipping. Other sources have suggested the Navy will share facilities with the Air Force at Los Angeles AFB in El Segundo. Air Force fans were skeptical of the arrangement. Back in San Diego, Navy fans were depositing PT uniforms outside headquarters on Senn St., with some attempting to ignite the refuse.